The Shack is a well-written “Christian fiction” book by William P. Young that has sold over 20 million copies since its debut in 2007. The Shack presents an unbiblical picture of God: God the Father is personified by a large black lady named Papa. I could stop there, as most Believers see the blasphemous problems with making God into a woman-which basically is goddess worship. But there’s much more. On page 95, “Papa” has scars in her hands. But, of course, only Christ bore the sins of the world. God the Father rendered judgment to His Son. The Shack presents an unbiblical picture of the Holy Spirit: God the Holy Spirit is personified by an Asian woman. But the Holy Spirit never appears as a person, much less a woman, and is always referred to in the masculine gender. The Shack presents an unbiblical picture of Jesus: Jesus of The Shack is not Jesus of the Bible! There are several verses in the Bible where Jesus exercised His headship, His divine attributes. But on pages 99-100 it says, “Jesus as a human being had no power within himself to heal anyone.” And this is, of course, 100% false. Jesus was 100% God and 100% man. The Shack presents an unbiblical picture of the Trinity: The Shack presents all three members of the Trinity in human form, but the Bible shows only Jesus taking human form. The Shack says on page 122-124 that the Trinity is all equal, that they don’t relate to each other within a hierarchy. But the Bible says clearly that God sent His Son. The Son did not send Himself. So while the members of the Trinity are all equal, there is also a divine order of headship and submission, which is hierarchy. Yet The Shack doesn’t tell people they should seek the only way to avoid eternal damnation–believing Jesus was God, came to earth, lived a sinless life, was crucified, and defeated death by rising from the dead. 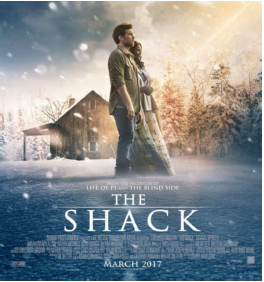 The Shack presents an unbiblical picture of your relationship with God: Throughout the book, The Shack places an emphasis on your “relationship” with God while downplaying proper doctrine. But how can you have a true relationship with God without scripturally understanding God’s truth as revealed in His Word? The Shack embraces Pantheism: Pantheism is the false teaching that God is everything and everything is God. Trees, rocks, animals, the sun, pets, people…are all gods. But even though God may live in a person or be present in a rock, that doesn’t mean He is a person or a rock. Funny thing, when you think about it. The same lie Satan used in the Garden of Eden, “You can be God,” is still being used by Satan today! Conclusion While a mature Believer may be able to read the fiction book and/or watch the fiction movie without being compromised, we believe that the dangerous theological errors in The Shack are from the pit of hell.